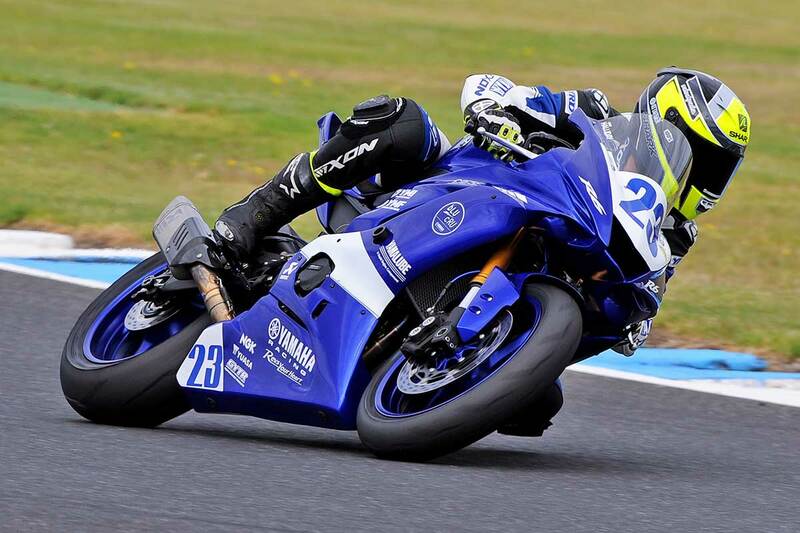 Yamaha Racing Team's ASBK Supersport entry on his switch to the R6. Cru Halliday is no stranger to the Yamaha Racing Team, being part of the factory organisation between 2012-2016 before going out on his own for a one-off season as a privateer. 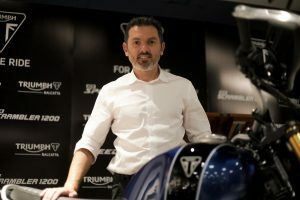 With a place opening up to lead Yamaha’s assault aboard the newly-introduced YZF-R6, Halliday finds himself back at the official team for 2018 and CycleOnline.com.au tracked him down to ask about that step in his career. Why the switch back to Supersport for this year? Yamaha gave me the call-up early in the year. I was going to race again in the Superbike class this year, since I raced in the category last year and got some good results, however I just couldn’t get the backing and the funding to see it being beneficial going around again this year in that class. 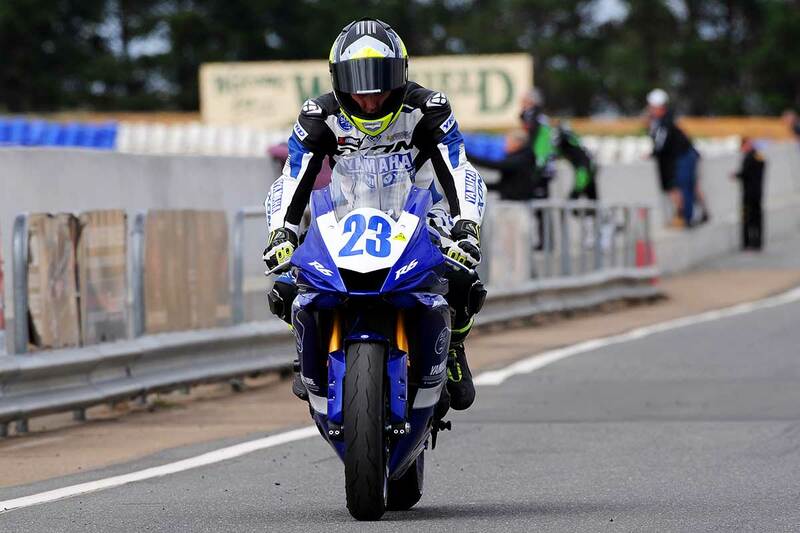 The guys at Yamaha Racing Team gave me this opportunity at the last-minute, asked me if I wanted to spearhead their new Yamaha YZF-R6 in the Australian Supersport Championship and I said yes. It’s a lot easier on me, a lot easier on my parents and I thought to myself that if I could go back to the Supersport class and scratch up on some corner speed, you never know will happen. I could go back to the Superbike class in the future and take some new improvements back with me. Why is being back a part of Yamaha Racing Team a relief of sorts after a year as a privateer? It’s definitely a big relief being back with Yamaha Racing Team. As I said before, just the funding side of it. You crash a bike as a privateer and you think straight away, ‘can I make it to the next round or not?’, as in funds and available parts. When you race for a factory team, you know the bike will be back up to scratch again straight away for the next race. You know they have the funds, you know they have the parts, so it does take a lot of stress off your shoulders, which is good. I think that is the big difference between being factory and non-factory, more of a stress level. The bikes are not that much better, as everyone has to play by the rules, which means privateers can have the same stuff what the factory bikes run, so I’ll say it’s more of a stress level thing. Why do you think the latest YZF-R6 is the bike to be on in Supersport? The all-new Yamaha YZF-R6 handles so much better than the previous model. Me, being a tall rider, the bike as you can see looks like an R1. It helps a bigger rider, such as myself, to be able to stretch out on it. The aerodynamics package on the new R6 for me is sensational and the bike does brake a lot better than the last model. We are now heading into round two of the ASBK series at Wakefield Park, everyone knows that the new R6 does handle and it’s a nimble little bike. Where-ever you want to put it on the track, you can. 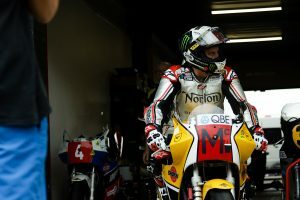 Why were you personally satisfied with second at Phillip Island, first time back in the class? I was definitely satisfied with getting second. Personally, it’s not the result I wanted because you come from the Superbike class expecting to go top of the sheets in the Supersport class, but racing against a young kid like Tom Toparis and other riders coming through the ranks, they are just as hungry as me. I was happy to get points from round one at a track that is not my strongest circuit. We were also lacking some parts for that bike, as it’s so new and being so late for the call to enter the new R6 under the factory Yamaha tent. 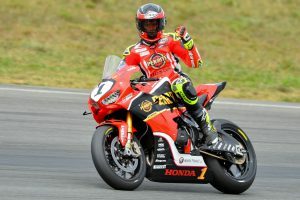 I think they had a lot on their plate, competing in the World Superbikes as well as getting the Australian Superbikes ready as well, along with getting my Supersport 600 prepared. I’m definitely just happy that we got some good points on the board to be second in the championship after the first round, so I can’t complain about that. Why can we expect you to be even stronger in the coming rounds? I’m definitely going to get stronger as the year goes on. I’ve said in previous interviews before that the bike has more parts coming and they will arrive. The Yamaha R6 is so new world-wide that parts are hard to get in, even for European teams. The parts will come and the times will get lower. I started off at the circuit that I’m the weakest at, which is Phillip Island. It has a long, following style, whereas everyone knows my preference is tighter tracks and to be quite aggressive on the throttle. We have The Bend coming up, so I’m not too sure what that will be like, but I’m looking forward to tracks such as Wakefield Park, Winton and Morgan Park. I have had good results there on a Superbike, so I can’t see why I can’t do it there in Supersport.